Fortunately it is mandatory in all federal states in Germany to install smoke detectors until 2017. This is good and helps saving many lives and minimizing damages. 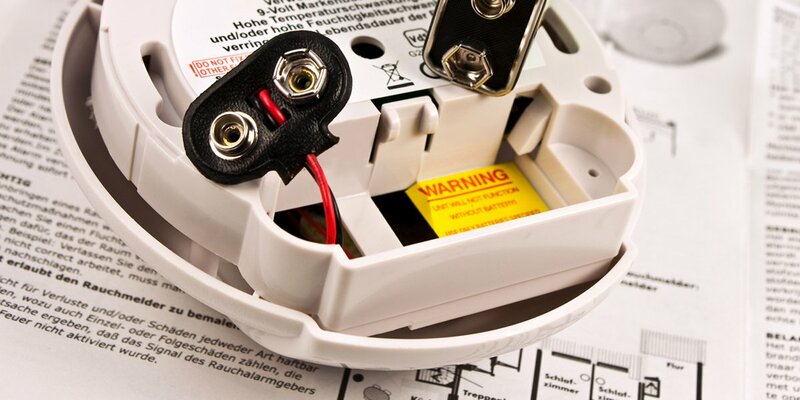 But not all smoke detectors are suitable for each installation situation. 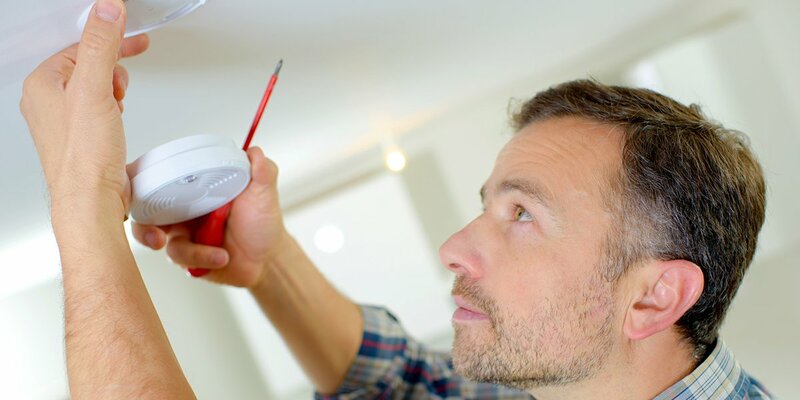 In a big house it can happen that an alarm is not recognized at all or too late: For example if the smoke detector is beeping in a closed room under the roof or in a closed room in the cellar. Or what happens if the smoke detector is beeping in the apartment of a needy person but no neighbor is around to help? In such cases the smoke detectors must do more than just recognizing a fire at an early stage und sending an alarm. They must recognize the fire and forward the alarm wirelessly to a networked smoke detector in the house or e.g. to an alarm control unit or to the house automation. Thus specific measures can be taken more rapidly in case of an emergency, e.g. recognizing the fire in the same house more quickly and therefore having more precious time for saving and extinguishing actions. Or getting help from afar if the alarm is forwarded to an alarm control unit or via e-mail, SMS or App to a PC, smart phone or tablet. In any case networked smoke detectors help saving precious seconds or minutes which can be life-saving. In big buildings it is recommended to install wirelessly networked smoke detectors. They form a detector group which means that if one detector recognizes danger and sends out an alarm, this alarm is send wirelessly to all other detectors which in turn also send out alarms. Thus it is guaranteed that measures can be taken immediately. If the building is equipped with a central building control system, e.g. KNX or an alarm control unit, the alarm will be indicated there and can be assigned to the corresponding room. Thus actions can be taken immediately, if – for example – it is only a small fire which can be extinguished with a hand-held extinguisher. If you like to receive a fire alarm even when you are not at home the networked smoke detectors need to be equipped with a communication interface. 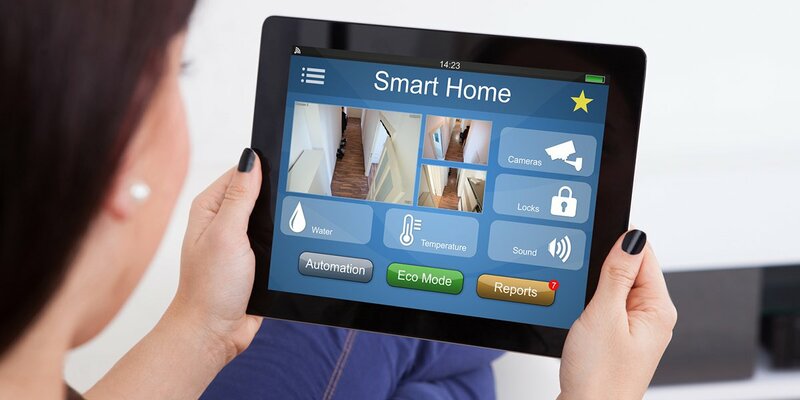 There are some units which can be directly linked via a WLAN module, with other units the alarm is forwarded by SMS, e-mail or App via a central building control system. Your electronics retailer will assist you in choosing the most suitable smoke detector for you and the best way of forwarding an alarm. Together with him you will find the best solution to be perfectly protected in any case of emergency. You do not have a trusted electronics retailer? Then please use the search here. Here you find selected qualified electricians who know what they are talking about and who can give you competent advise. To find your specialist close to you, please enter your zip code in the field above in the search form. Unfortunateley, a specialist couldn't be found. Then feel free to contact us and we support you to find the right contact person for your issue.